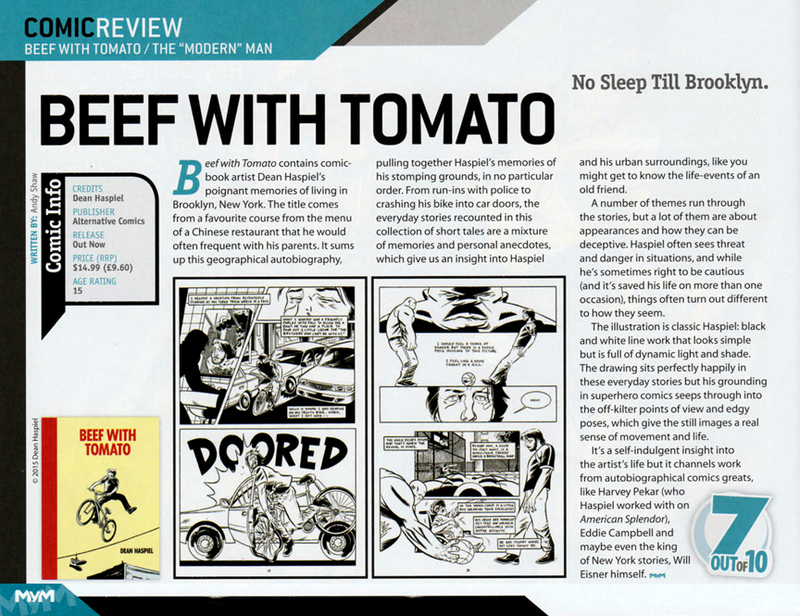 British magazine, MyM reviewed Dean Haspiel’s BEEF WITH TOMATO. This entry was posted in Uncategorized and tagged Alternative Comics, Beef With Tomato, Dean Haspiel, MyM. Bookmark the permalink.